VANCOUVER — For now, it is Camas, Union and Skyview, in that order in the Class 4A Greater St. Helens League girls basketball standings. And it is anybody’s guess as to just what the order will be when the season is complete. The Camas Papermakers jumped into sole possession of first place on Friday with a win over Skyview. Gracious in victory, Camas point guard Haley Hanson said she wants to play Skyview at its best, when healthy. While the win was still worthy of celebration, Hanson said the Papermakers would rather take on the Storm at full strength. The Storm were missing one starter in that game and then another went down in the first quarter. 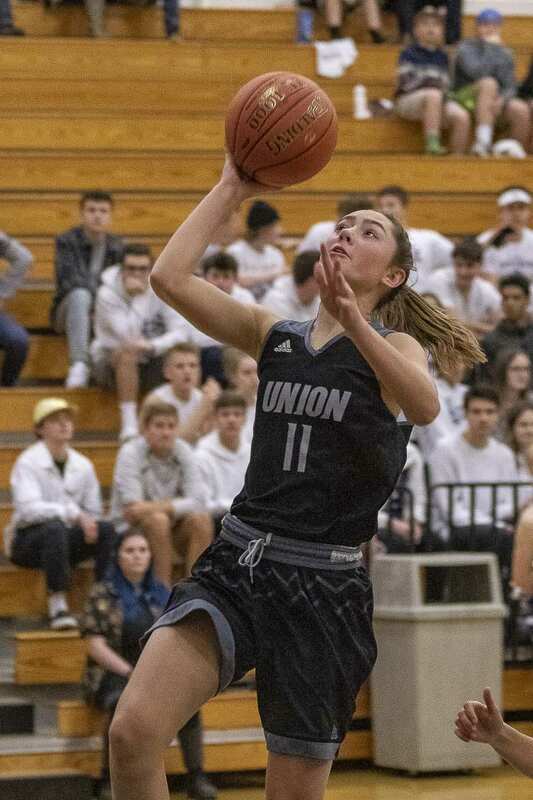 Union, which has also seen its share of injuries this season, then moved into second place Tuesday with a win over the Storm. Yes, with just five teams, that makes for only eight league games. 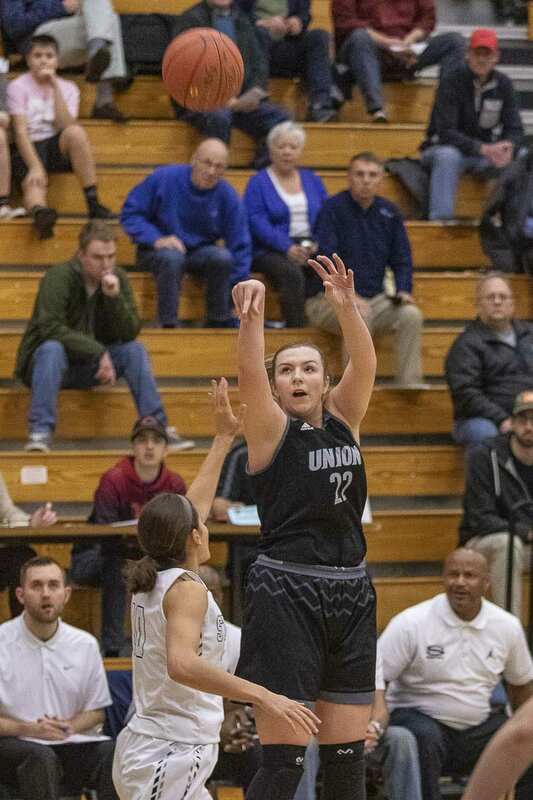 Union beat Skyview on Tuesday and will take on first-place Camas on Friday. There are very few breaks in league play. On Tuesday, that was Union. Lewis finished with 15 points and 10 rebounds in a 54-39 victory. It was a three-point game going into the fourth quarter. Then Midland, in foul trouble for much of the night, returned to the contest. She scored on one end of the court, then blocked a Skyview shot on the ensuing possession. Back on offense the next trip down, it was Midland scoring again. She finished with 12 points on 6-of-7 shooting. For Midland, it was an emotional time. She was assessed a technical foul in the third quarter. She was nearly in tears after the game, hoping to send a message to Skyview, saying her technical was not intentional. She was hustling back into position when the whistle blew. Her momentum carried her hard into an opponent who had stopped on the whistle. Just an accident, she said. From the sideline, she promised herself to make amends to her teammates, too, who were without her for an extended time. “I just wanted to go back in and show them I could overcome what happened,” she said. She accomplished that. Although she would foul out, she did her job, igniting that fourth-quarter run. Skyview, meanwhile, got 15 points and five steals from Maddie Hendricks. Kazz Parks, who was injured in the Camas game, did not start but did come off the bench to help provide a spark to the Storm.